Eliza Burroughs stands outside the homestead with two pails. Caption on reverse reads "Catskills Roxburry Going a-milking. The stones --- on the terrace of the old farm house of John Burroughs. 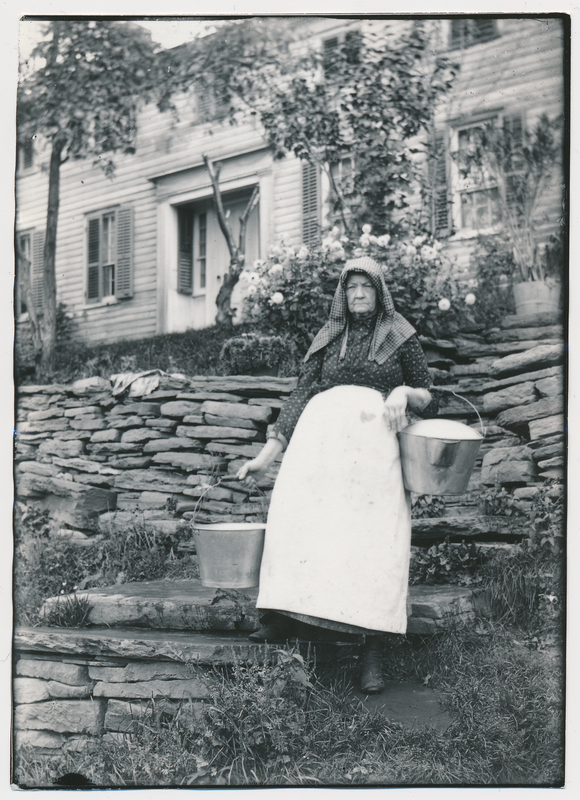 Johnson, Clifton, 1865-1940, “Wife of Curtis Burroughs stands with two pails at the homestead,” Digital Amherst, accessed April 23, 2019, http://digitalamherst.org/items/show/1855.